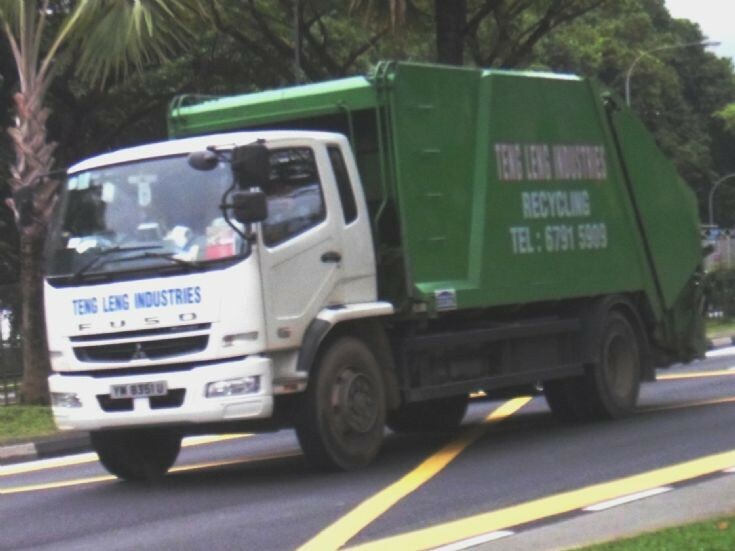 A new medium duty Mitsubishi Fuso Fighter FM67FM series refuse garbage truck from Teng Leng Industries Pte Ltd is spotted here travelling along Sembawang Road in Singapore. It is on its way to dispose the rubbishes it has collected from the various construction sites to an incineration plant at Senoko. Photo taken in Dec 2010.